As any hemorrhoid sufferer will already know, this is a condition that can affect you in many ways. Of course, this condition causes discomfort and pain but it can also lead to embarrassment, itching, inconvenience, and difficulties when it comes to simple, everyday activities such as sitting down. Bearing in mind the effects that hemorrhoids can have on your daily life, it is little wonder that those who suffer from the condition are eager to get relief and to help prevent future bouts of hemorrhoids. However, before you can tackle matters such as the prevention of this condition you need to know more about what causes hemorrhoids. 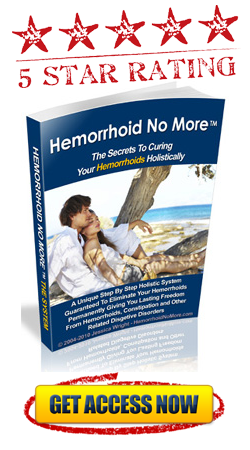 The first thing to bear in mind is that hemorrhoids are very common, far more common than many people think. At some point in our lifetimes, half of us will have experienced this condition, some just once or twice and others on a regular basis. And why has hemorrhoids become such a common condition? Well, it is partly down to our lifestyles, which means that you can take action to make changes that will reduce the risk of recurring bouts of hemorrhoids. First of all, it is important to remember that when it comes to what causes hemorrhoids there are many grey areas and uncertainties about what causes their enlargement, However, the onset and severity of hemorrhoids has been linked to a number of different things, some of which you may be able to address in order to cut the risk of getting recurrent bouts of this condition. One of the things that has been linked to the onset and aggravation of hemorrhoids is poor diet. As we know, a poor diet can affect our health and well being in many ways, from the condition of the skin and hair through to weight issues, heart problems, diseases such as diabetes and our susceptibility to problems such as colds. It has also been linked to the onset of and severity of hemorrhoids. According to some experts, eating more fiber in your diet can help to reduce the risk of hemorrhoids, as it means that you are less likely to have to strain when you go to the loo! The straining that can take place when passing stools can bring about this condition and can make it worse each time you go, so eating plenty of fiber is important to reduce the strain required. Obesity is another issue that is linked to hemorrhoids, and also ties in with eating a healthier diet. It is thought that a healthy, high fiber diet combined with regular exercise could help to cut the risk of hemorrhoids.